The view along the Avenue of the Dead from near the Southern Entrance and Museum. 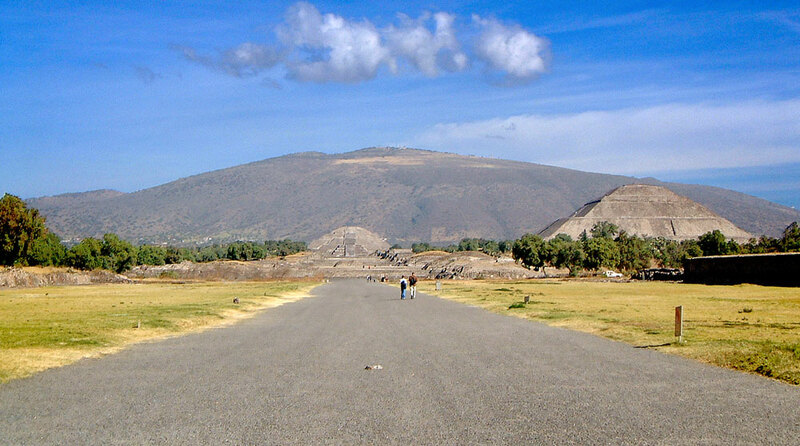 The Pyramid of the Moon is covered in detail in the article Pyramid of the Moon & the Teotihuacan World-Order. The Pyramid of the Sun is covered in detail in the article Pyramid of the Sun & The Orion Mystery.